When we bought our property there were a few property markers we could not find. The land had been professionally surveyed and we have a copy of the survey, but we still could not find the pins. In the picture here and the video below, I used a protractor and compass along with our survey to find the pin we could not locate on our own. Had I put two and two together, I could have simply done a little math. To state the obvious, each pin can go in a line in either direction to another pin. So, to find our missing pin we first found one that was directly connected to it. We found it very easily right nearby the house site. The next thing we needed to do was figure out exactly how were were going to go 635 feet through the woods to find the missing pin. To read our survey, we should travel from that pin, South at 36 degrees, 20 minutes and 40 seconds. Now, please hear me out. We were not drawing a line in the sand to say “this line on the ground IS the property line”, rather, we were looking for a direction to help us find a missing pin. Our compass puts North at 0 degrees. Since South from there would be 180 degrees, 36 degrees does not make much sense. Since this boundary actually goes South-Southwest, it seems clear that the only way to get 36 degrees is if the survey considered South 0 degrees. So, to make our heading work, we need to add 36 to 180, giving us 216 degrees. We figured this using a protractor as well and came up with the same thing. With the understanding that we are not on a perfect course, we can proceed the direction we need to go knowing we will be very close to our destination. It is important to know where you are on the globe and what, if any, adjustments you might have to make to your heading. Known as magnetic declination, it can really mess up your compass readings. Check out this Wikipedia file on Magnetic Declination for help determining any adjustments you might need to make. It just so happens that we are at about a 1 degree declination. For our purposes, I am not worried about it. Now that we know which way to go we adjusted the bezel ring on our compass so that 216 degrees was pointing “forward”. Now, to actually travel at our heading, we need to get the compass needle to line up with and point north. Just turn in place until that happens and your compass will then be pointing towards your heading. To help us find the correct distance we used a 100 foot tape measure, with one person acting as an anchor and the other following the compass heading. When the person with the compass reached 100 feet they would stop, wind the tape measure back up, and start over again. In the end, the survey pin was found. In fact, we walk right up to it, despite all of the imperfections in the method we used. Groovy! 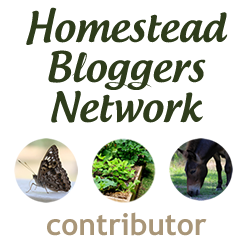 We shared with our Fb readers at homesteadlady.com. Now i know I’m not crazy…been doing this for a long time with military compass…on my property. Found every single marker with a metal detector too.